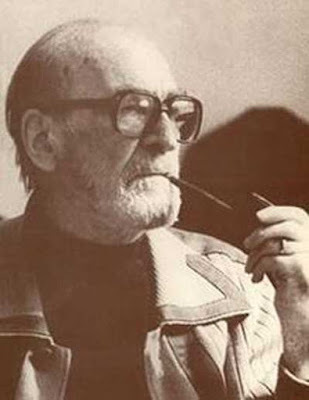 Mircea Eliade (1907 – 86), born in Romania, was a renowned scholar of philosophy, psychology of religion and mythology. Mircea Eliade association with Hinduism began when studied Hindu Philosophy and Yoga at the University of Calcutta for three years (1928 – 31), and for six months (in 1931) at Rishikesh under Hindu teachers. He was a prolific writer, and his works include monographs on Yoga, Shamanism, folk-religions and alchemy, autobiography, drama, stories of the occult and some novels. His book Patanjali and Yoga is a study of the various systems of Yoga as a means of liberation, with particular focus on Patanjali’s treatise. Eliade also wrote Yoga: Immortality and Freedom in which he discusses the tradition of Yoga. He deals in great details with the concept of Yogasutras and Patanjali, yogic techniques, postures and respiratory discipline, and Yoga in relation to Vedic Dharma and Tantra. Eliade was the editor-in-chief of Encyclopedia of Religions, but unfortunately died before its publication. His Images and Symbols (translated into English by Philip Mairet) is a study in “religious symbolism.” In this work he describes and analyzes many of the symbols which have dominated the thinking of people both in the East and West, focusing on the symbolism of the ‘Center’, the Hindu symbols of ‘Time and Eternity’, and the symbolism of shells. Eliade’s personal experiences in India are found in the book, Two Tales of the Occult. From Primitives to Zen – a thematic source-book of the history of religions which is a comparative study drawn from the religions of the world other than Christianity.